The tiny island is just 22 miles long and 8 miles wide and has two main towns - the incorporated town of Avalon to the east and the western unincorporated town of Two Harbors. 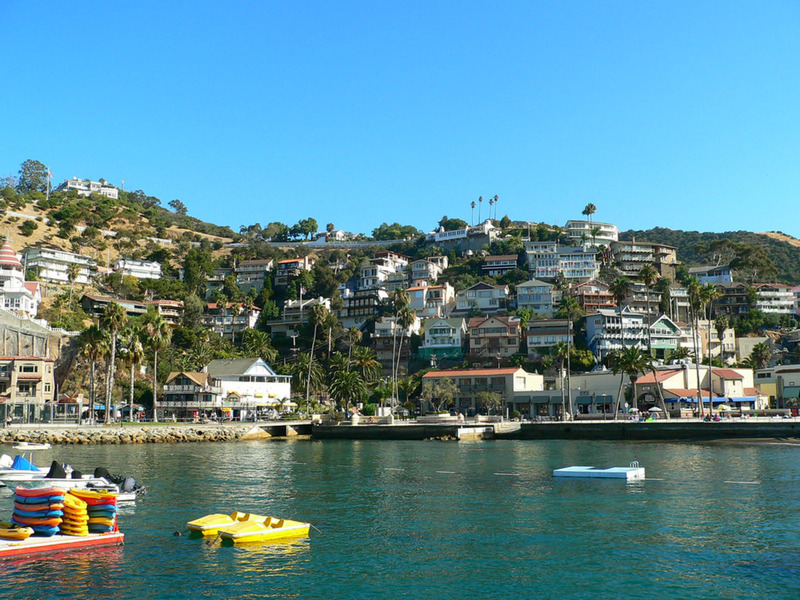 As the only incorporated town on Santa Catalina Island, the town of Avalon boasts numerous hotels, beaches, and restaurants, and is home to many points of interest including the Catalina Island Museum, Wrigley Memorial & Botanical Gardens, Casino Point Dive Park and the Catalina Casino. The charming town of Avalon has attracted many film stars and even a few presidents. Crescent Avenue, the main street surrounding Avalon Bay, features a pedestrian mall and numerous restaurants. A variety of boating and ocean expeditions including underwater tours, glass bottom boat tours, sunset cruises and fly fishing voyages depart regularly from Pleasure Pier. Separated by the island’s narrowest strip of land, Isthmus Cove and Catalina Harbor are both central to the island community of Two Harbors. Managed by the Catalina Island Conservancy, a herd of approximately 150 American Bison roam freely on the island and thrive in the natural environment. The village of Two Harbors offers plenty of opportunities for snorkeling, scuba diving, kayaking, camping, mountain biking, and of course, recreational boating. Two Harbors offers extensive harbor and mooring services including harbor patrol and shoreboat service, as well as fuel dock services for boaters. Catalina Island boat rentals allow you to enjoy true seclusion along the stunning Pacific coast at Santa Catalina Island’s Boat-In Campsites. A total of 17 sites at nine locations around the leeside shore provide absolute privacy. Campsites are primitive, with no running water or moorings and are only accessible by boat or kayak. Both 4th of July Cove and Cherry Cove offer deep water (100 feet) anchorages. If you're looking for more places to take you Cataline Island boat rental, be sure to check out the beautiful cove of Emerald Bay offers a long strip of sandy beach that is accessible only by boat. Located at the Isthmus of Catalina Island, the idyllic atmosphere at Two Harbors, with its secluded coves and convenient mooring and anchorage options, makes for a popular site among boaters. The stunning vistas and crystal clear waters will delight you as you explore all that Santa Catalina Island has to offer. 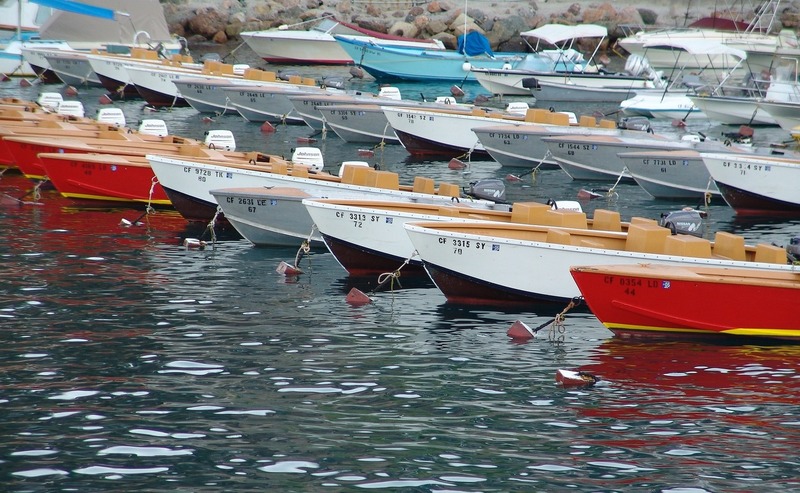 Catalina Harbor is Santa Catalina Island’s most protected harbor. 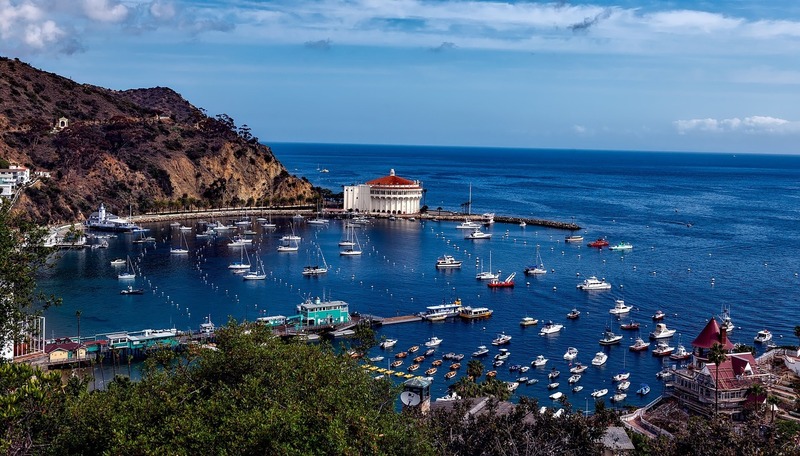 Located on the windward side of the island, Catalina Harbor is the only natural all weather harbor between San Diego and San Francisco. The harbor is protected by the Headlands of Catalina, a unique rock formation that extents out into the Pacific Ocean and shelters the harbor from storms and strong winds. The harbor is one of only two U.S. Coast Guard-designated “Year-round Safe Harbor” sites in Southern California. Amenities include a public dinghy dock and on-shore picnic facilities. Other popular harbors include Isthmus Cove, which provides ferries from the mainland that dock at the pier, and year-round shoreboat rides. 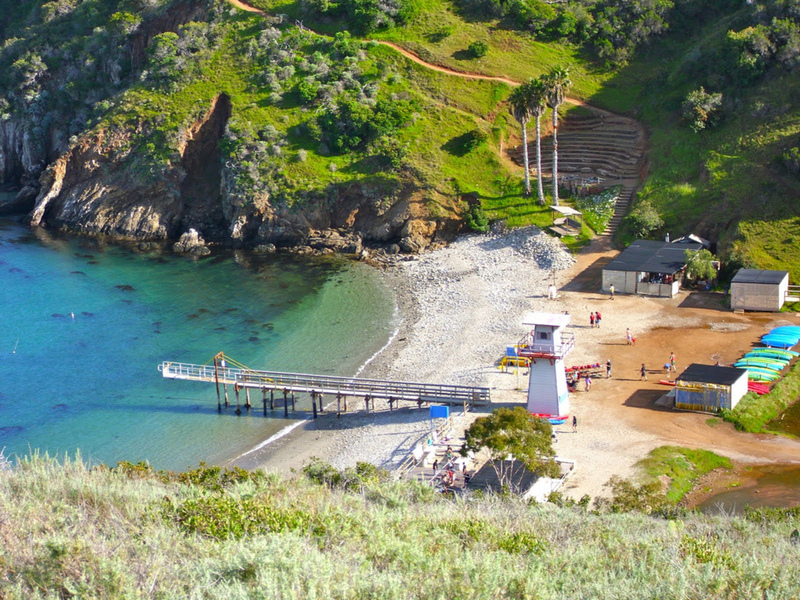 Make sure to check out Howland’s Landing as well, which encompasses the largest watershed on Catalina Island’s West End. 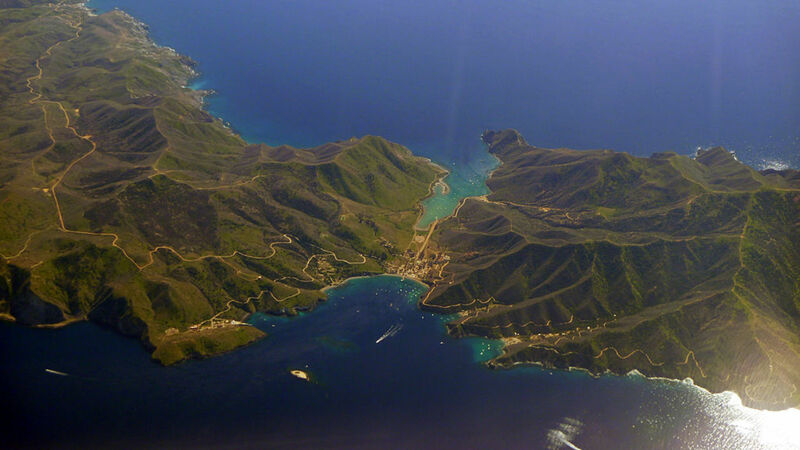 Santa Catalina Island is only accessible by ferry, helicopter, private plane, or boat. Boating is arguably the best way to experience the island’s picturesque vistas and commune with nature. 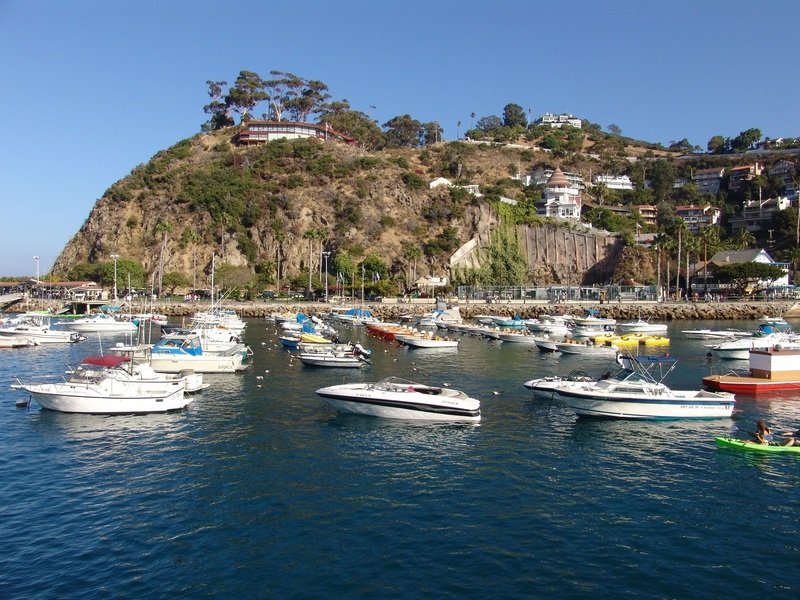 In fact, Catalina Island boat rentals offer access many exclusive areas that are best seen by boat, including the popular “Boat-in Campsites.” With warm temperatures and a mild sub-tropical climate, Catalina Island is an ideal boating destination year-round. White's Landing, which is located just east of Two Harbors and offers one of the most magnificent beaches on the island. 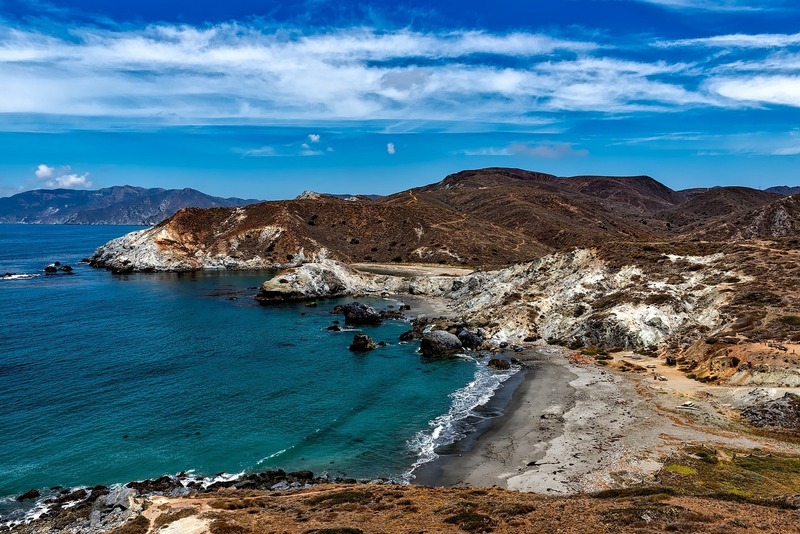 Make sure to check out Hen Rock Cove too, which offers magnificent reefs and abundant sea life that are ripe for exploration, and features some of the best snorkeling and dive sites on Catalina Island.